Property listed by Broker Network Realty, Inc.. 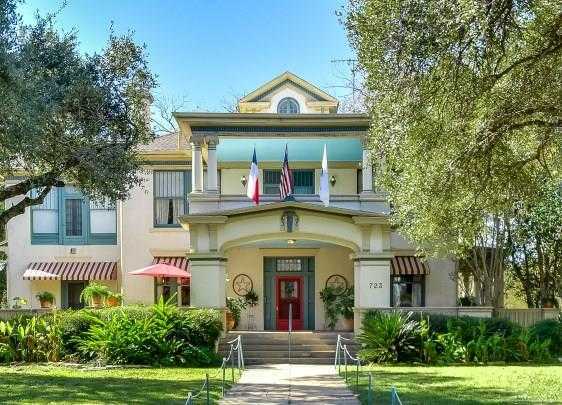 In Historic, Old Town Gonzales, TX – Come Tour This Gorgeous, Historic, Colonial-Renaissance Mansion, One of The True 201C;Jewels of Gonzales201D; Anchors The Eastern Edge of The Official Texas Historic Museum District. This is Your Chance to Own a Piece of Texas History (The Kokernot Mansion). Two Story Carriage House W/ 2 Guest Apartments. On large Lot. Huge Windows W/ Abundant Natural Light. Currently Generating Income as a Bed & Breakfast. Please, send me more information on this property: MLS# 9182290 – $600,000 – 723 Saint James St, Gonzales, TX 78629. I would like to schedule a private showing for this property: MLS# 9182290 – $600,000 – 723 Saint James St, Gonzales, TX 78629.